God's Plan parody: Drake is my favorite rapper, and my love for him runs pretty deep. Out of all the celebrities out there, he's definitely on my list of Top 5 that I'd love to meet someday! Anyways, naturally I'm obsessed with his new single God's Plan. The music video is absolutely incredible. If you haven't seen it, it features Drake giving away the entire budget for the video through a series of charitable acts in Miami. The Jimmy Kimmel Show made a parody of the video and sent out Jimmy's sidekick Guillermo to do his own "version" of charitable acts... I'll leave it at that! This is SO funny and it's a must watch, especially if you also love the new Drake song and video. Getting passwords in order: Something that I've needed to do for a long time but have seriously put off doing is getting all of my passwords in order for all sorts of online accounts. Back in the day I used to use the same password for everything from Facebook to online banking... but now in 2018 that is not safe or smart to do! I have tons of different passwords for everything, but the downside of that is I have trouble remembering them... and not just the passwords, but also the usernames and account numbers (for loyalty programs!). This weekend I finally started tackling getting all that information documented. This weekend I focused on travel and went through all of the airline mileage programs I'm a member of, as well as some hotel and travel discount websites like Expedia that I have accounts with. I documented passwords, usernames, and account numbers, so everything is organized and ready for next time I need to travel! I'm hoping to continue with this in weeks to come and tackle some blogging related accounts for password organization and documentation. Newest social media app: There was a lot of buzz in some of the blogging groups that I'm in over the weekend about a brand new social media app called Vero. Vero is saying that it's helping people connect differently than other social media apps, and also sharing that it's algorithm-free (unlike Instagram!). A lot of bloggers made accounts this weekend so I went to make one too. I haven't spent much time exploring how to use it yet as I've had a lot going on- but it looks pretty cool! I like how you can categorize the people you connect with... everything from followers to friends to close friends. Have you heard of Vero or made an account yet? Purchases: No exciting purchases to report this week! This chic dress is a little pricy compared to the finds I usually feature here but I absolutely adore the color of it, what a beautiful and unique shade of blue! I could see myself wearing this for so many spring occasions. 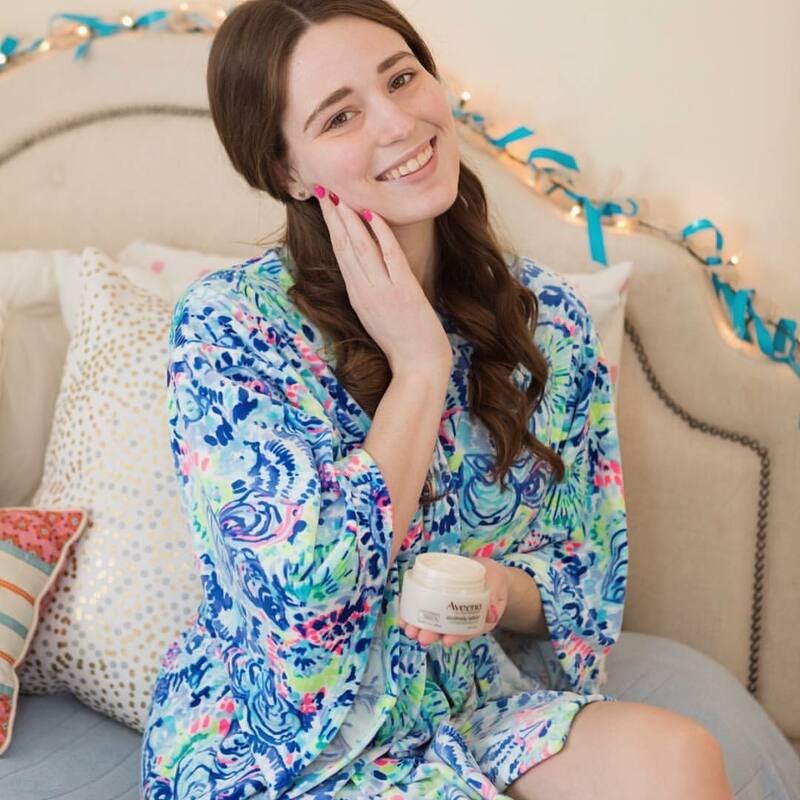 This brand new Lilly dress is giving me all the spring feels... hoping it might be in the next After Party Sale! One of my top pairs of spring go-to shoes last year were my black Nike sneakers. I'd love to get another pair in a different color for this spring - I'm loving these sneakers! I might have a use for a cute door hanger decoration like this soon! Recipe of the week: Penne alla Vodka from America's Test Kitchen. Penne alla Vodka has always been one of my favorite pasta dishes to order in Italian restaurants. I finally tried my first hand at making it myself this past week, and I was really happy with how it came out! This was a great recipe. I didn't have any large bottles of vodka in my apartment, so I went to the liquor store and purchased one of the tiny little bottles (which has like a shot of vodka in it) and it ended up being the perfect amount for the recipe! Song of the week: Tonight (I'm Lovin' You) by Enrique Inglesias ft. Ludacris. Okay this definitely isn't a new song by any means... it's a #TBT blast from my high school years! But I remembered this week how much I love this song and how catchy it is. Definitely one of my favorites from Enrique. I've had it on repeat this week! 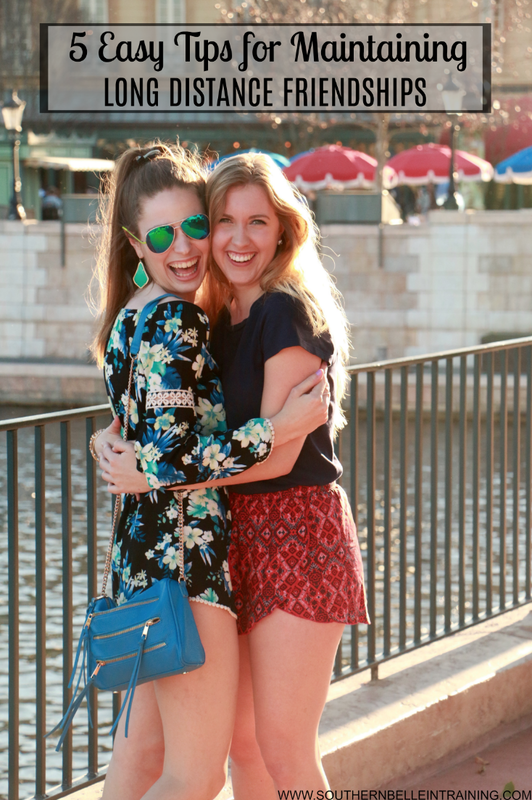 5 Easy Tips for Maintaining Long Distance Friendships. Enjoy the rest of your week!! Mine has been great so far- I have been eating out more than normal this week with friends- I tried a new restaurant with my friend Ronica and her husband on Monday night, and am looking forward to trying another new-to-me one with some people from my church tomorrow night. Today I'm sharing a few of my secrets to getting gift cards for shopping online or in-store at everyone's favorite department store! Nordstrom is definitely one of the top retailers of choice in the fashion blogging world these days. I'm personally more of a Nordstrom Rack fan than a true Nordy girl, but don't get me wrong- there are lots of things that I love about regular Nordstrom as well! I definitely look forward to the big Anniversary Sale every July, and some of my favorite purchases in my closet have been made during this sale. I really appreciate how Nordstrom carries hundreds of the best brands- everything from high-end designer labels, to their affordable house brands like BP. There's something for everyone! Affordable fashion has always been a focus of this blog, and as much fun as retail therapy can be, it's always better to choose financial security over an impulsive shopping spree. If you are on a tight budget either because of being a full-time student, paying off loans or debt, or working at a job that's making it hard to make ends meet, these are the types of things that need to come before blowing a ton of money in things like the Nordstrom Anniversary sale. Sometimes with the consumerism side of fashion blogging it can be hard to remember that! (It can even be hard for me to do so for myself!) Anyways, it's a lot better to feel guilt free about shopping at one of your favorite stores if you're shopping with gift cards that you got for free! Today I'm giving you my three life hacks for getting free Nordstrom gift cards. Because here's to #TreatingYoSelf... responsibly of course! 1. Getting a Nordstrom credit card for store purchases: This one probably seems like a given, but it just makes sense it you enjoy shopping at Nordstrom! 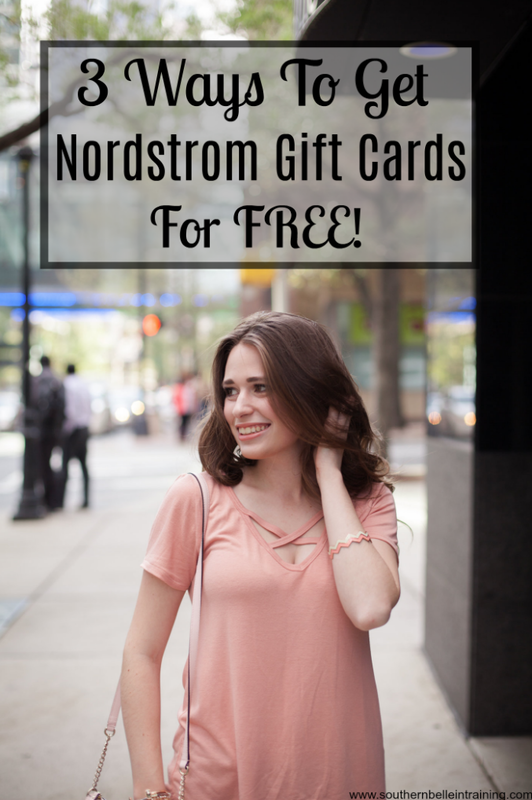 Their credit card has so many advantages, first and foremost the fact that all purchases give you the chance to earn Nordstrom Notes (gift certificates). There are also many double and even triple points shopping days throughout the year for cardholders, so if you're shopping at those times with your Nordstrom Card you're even closer to your next Note. I don't spend enough at Nordstrom to become a high level card holder (I'm just a Level 1), but even so I've already earned a few Notes for shopping in the two years that I've had my card. 2. Redeem your regular credit card rewards for Nordstrom gift cards: This will be a whole separate blog post topic... but if you're using a debit card or cash instead of a credit card for your daily purchases.... STOP that ASAP and get yourself a no fees rewards credit card of some type. There are tons to choose from. Last year, I had enough credit card rewards accumulated from one of my regular credit cards to redeem for Nordstrom gift cards that covered most of my Anniversary Sale purchases! Most no-fee rewards credit cards have a marketplace that you can redeem your points for gift cards in. You can usually redeem them on all types of things (gift cards for restaurants, retailers, travel, etc), and last year I chose to redeem most of my points towards Anniversary Sale purchases! 3. Sign up for a reputable online survey panel: Here's the last way that I've been earning free gift cards to shop at Nordstrom this year, and probably my biggest #LifeHack way out of the three. I've been quite open here on the blog that during my first months in Vermont last year, outside of work and blogging I really didn't have much of a social life. That gave me a lot of free time that I didn't know what to do with, so one thing that I started doing for awhile was taking online surveys through a reputable panel. There are lots of scammy survey websites which can end up doing more harm than good to your computer, or don't actually pay or reward you for taking them... BUT there are also many reputable websites too. I did my research and joined one of the larger survey platforms, and then started doing one or two every weekday, which would take me approximately 30 minutes. On the platform I use you earn points for taking surveys, and once you have a certain amount you can redeem them either for Paypal cash, or gift cards. I redeemed my points for Nordstrom gift cards so I could treat myself! To date, I've earned $75 in Nordstrom gift cards from online surveys. That's not bad for something easy, free, and not super time consuming. I bet if I was taking more surveys a day and also doing them weekends, I could be earning even more points and then gift cards! If you're interested in signing up for the survey panel that I use, email me and I'm happy to refer you! In last Thursday's post, I shared a round-up of some of my favorite spring inspired Easter dress picks. The best part was all of them are under $50! 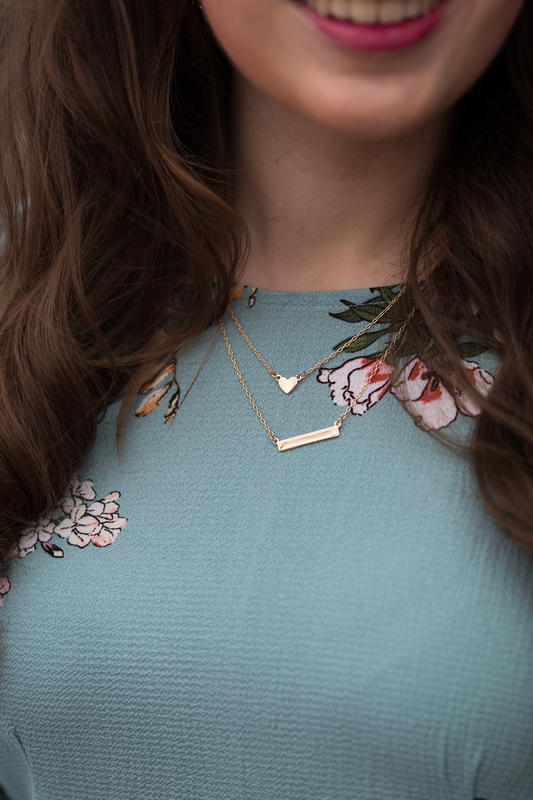 In today's blog post, I'm styling my own favorite under $50 spring dress, and sharing how I'd put together a church-appropriate outfit for Easter in a cold climate like Vermont. This year Easter falls on April 1st... it definitely will not be super warm in Vermont yet then! If you celebrate Easter, it can be really frustrating if it comes earlier one year but the region you live in hasn't caught up with spring weather yet. Of course you'll want to break out a cute spring sundress for church and celebrating... but you also don't want to freeze yourself and be uncomfortable! If you live in Northern New England or another colder area, the key is to wear spring colors and styles, but keep layering. 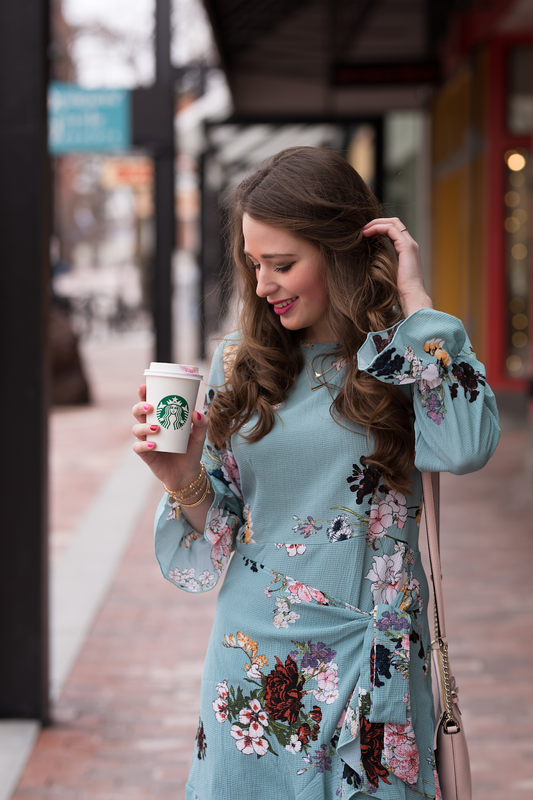 I was drawn to this dress because it's a beautiful mint-turquoise color and has a pretty floral print. The long sleeves on it already add a bit of warmth, and if Easter was really cold you could always wear a camisole under it or a cute cardigan over it. I paired this dress with one of my favorite spring crossbody purses (you can never go wrong with baby pink for spring! ), a bright lip, and dainty necklaces. Tights and booties completed the look and made it cool weather appropriate. And there you have it- it's not too hard to make some seasonal transition outfits! I hope that you enjoyed your weekend! I was very busy- after work on Saturday I've had tons of things to do around my apartment. It was a great time to get caught up on the latest episodes of all my favorite podcasts! I have a few that I listen to each and every week and I hate getting behind. If you're wondering what the ones are that I listen to weekly - check out this blog post! Happy Monday, have a great start to your week! Hello and happy Friday! We've made it to the end of another week... and that also means another week closer to being done with WINTER in Vermont! Now that is something to be smiling about. 😊Something that I've been reflecting about throughout this whole winter season this year is how thankful I am for my best girlfriends. I am feeling blessed to have finally met some sweet girls here in Vermont, but even more thankful for my best friends out-of-state who have continued to be an active and involved part of my life, despite the distance. One thing that I was really nervous about when I moved to Vermont was losing many of my close friendships from college, broadcasting school, and bloggers in Charlotte, or having things become really different. A close friendship is similar in some ways to a romantic relationship in that distance can make an impact, and I was so nervous. After 10 months- I'm here to report that while some aspects of friendships do change with significant distance, your true friendships will be able to withstand any type of distance and evolve into something even stronger. They might be a bit different than what they used to be, but they will still be there. Those that aren't still apart of your life probably weren't right in the first place, or meant to be in your life for a long period of time. 2. Remember birthdays and other important days in your friends' lives: I am a BIG birthday person. I love to celebrate birthdays with my friends in person especially! One thing that made me sad about my move was knowing it would probably be a long time again before I'd have the chance to celebrate birthdays in person with some of my favorite people. Even if you can't be there physically, don't forget about your friends on their day! Send a gift if your personal budget allows, and if it doesn't, try to at least mail a card. It's easy to find cheap cards (the dollar store has tons! ), and it's more about the personal message you write in the card anyways then buying a fancy expensive card. I love to put up pictures of my besties on their birthday on my Instagram Stories and Snapchat, and I'm still big into Facebook timeline posts for birthdays too! Along the same lines of birthdays, if your friend has an important anniversary in their life, it will mean the world if you remember it from long distance. In October 2017, it was the one-year anniversary of the conclusion of the painful legal situation I was involved with the year before. Some of my closest friends texted me kind words as they remembered the anniversary, and that meant so much to me on a day filled with many emotions. 3. Try not to create unrealistic expectations about future visits: THIS is something I definitely need to work on in terms of my long-distance friendships and am still figuring out. 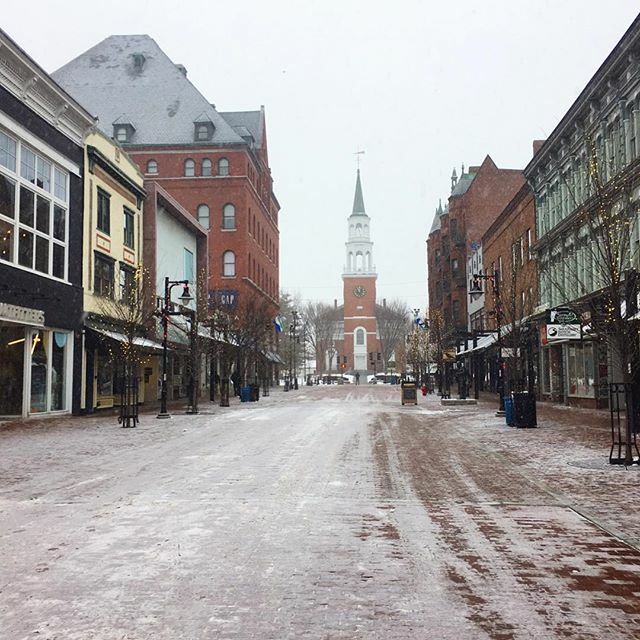 #honesty When I first moved from Charlotte and during my early months in Vermont, I promised tons of friends that as soon as time-off kicked in for my job, I'd go visit them. Literally, tons of people- in locations all over the country. While it's great that I have so many wonderful people in my life in different areas that miss me and want to have a visit, it is simply not realistic during a stage of my life when I'm starting my career and have limited PTO to make lots of promises about how I'll be using vacation days. This winter I've had to finally start telling friends that right now I have some things to figure out first and foremost in my life before I can make promises about when visits will be happening. Not being able to promise a visit doesn't mean that you don't love or care about your friends any less, it just means that you're trying to be realistic with them about your current stage of life and that's always best. 4. Fill them in about all the details about your current life: During the times when you do get to catch up in greater detail with long distance friends, whether over a long text conversation, phone call, or Facetime, use those opportunities to really get caught up with each others life. If this person is a close friend, you need to keep the emotional intimacy there even if they aren't physically nearby anymore. I've been very honest with my long distance friends when we do catch up about all aspects of my new life in Vermont: the highs and the lows. I've shared with them about exciting moments on my radio show and new experiences I've had at work, and kept them updated about my personal life here as well (like the church I'm going to and friends I'm making here). I also get honest with my friends and share with them about the struggles I've had since the move, like my homesickness, and other things. My friends do the same with me and keep me updated about their highs and lows. Catching up about serious issues and not just superficial topics really helps to still feel like you're an active part of this person's life! These are the things that I've found work the best for me here in Vermont to keep in touch with my friends out-of-state! As an absolute a bottom line, I try and Facetime at minimum once every two months with everyone, and more frequently with my closest friends. That has definitely helped me to feel at least somewhat connected and updated with those dear to me. I'd love to hear your best long distance friendship tips below in the comments!! My favorite holiday is on its way soon! I absolutely adore Easter and I'm so excited that it's coming up on April 1st. I love it mostly for the religious significance in the Christian faith, but I also love a lot of the commercial aspects of Easter, and it really symbolizes the start of spring, which is my favorite season! Yay Easter all around. Anyways, today I'm sharing a round-up of some fun dress picks for this Easter- the best part is they're all under $50! 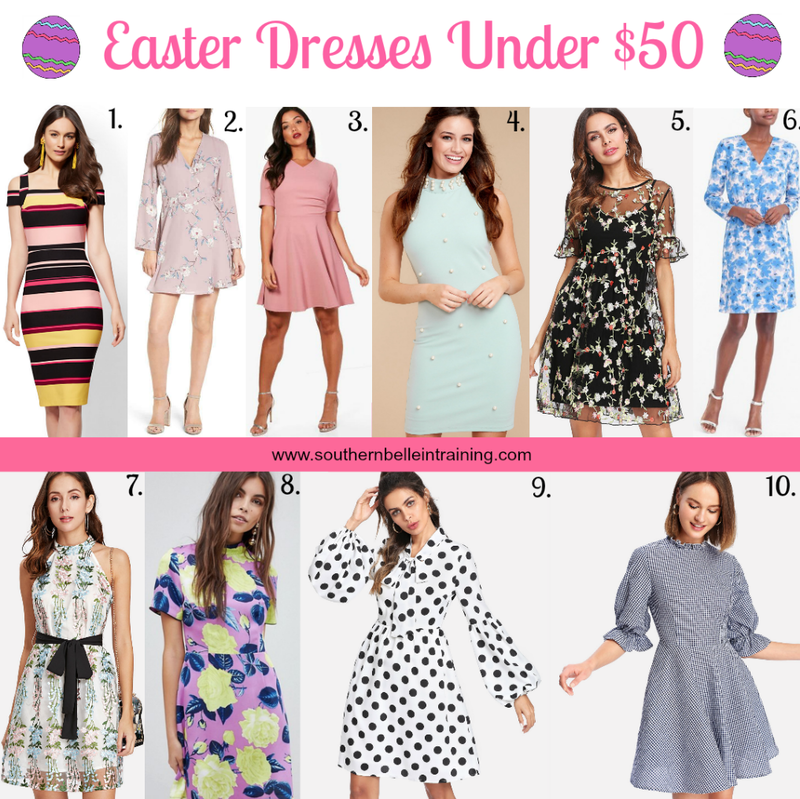 Can you believe that there are so many different dress options perfect for Easter available for under $50? Some of these are as cheap as under $20, which is even better!! Easter is such an important holiday that I love dressing up extra nice (with a new dress if possible!) for church every year, but I totally understand that you might not want to spend big bucks for an Easter dress. All of these dresses will keep you in budget, and you'll still look absolutely gorgeous! If you don't celebrate Easter, all of these would be perfect for a number of spring occasions like showers, recitals, or attending graduations. My two favorites out of all the ones above are probably the floral dress with the black bow and the polka dot dress! I actually already have the dress that I'm planning to wear for Easter in Vermont... it will still be cold here the first weekend in April so mine for this year is still spring appropriate fashion wise but is a good transition dress. I'll be styling it in a blog post next week, but you can check it out here now if you like! Finally watching Friends: I feel like I am always the last person ever to watch well-known TV shows. I didn't finish Gossip Girl until my junior year of college, I finally finished watching The Office consecutively around this time last year... and just a couple weeks ago I began watching Friends! I had seen episodes sporadically when I was growing up and it was airing live with my parents, but of course I don't remember that very well. I had tried to watch a little bit of the first season when it first went on Netflix, but I couldn't get into it then. I needed a new Netflix show to start a couple weeks ago (all of my current TV shows are on hiatus for the Olympics!! ), so I decided to give Friends another go. So very glad I did- it's hilarious! I finally understand the hype! I'm a huge How I Met Your Mother fan and I also see now how there is a lot of Friends influence in HIMYM. Warm in Vermont! This update probably isn't relevant to most of you reading but I am sure am happy about it. The high temperature here in Vermont today is SIXTY degrees and the snow is just about all melted!!! We had record-breaking cold temperatures around the holidays that were absolutely miserable to deal with, so having weather this warm and rare in late February is such a blessing. It will get cold again this weekend but as long as the snow doesn't return I'm happy! This week I purchased the cutest little vest! It has gold pineapple motifs all over it and reminds me so much of the South. It was from a boutique so I can't link it for y'all sadly, but it is really cute and will be a fun transition piece! These adorable hot pink sandals have me dreaming of summer days! I love their vibrant color. I'm really liking these sunny yellow pants, they would add such a fun twist to spring business casual outfits. I think mugs always make the cutest gifts, so if you know a girlfriend with a spring birthday this mug is too cute! Lilly Pulitzer released their much-awaited swimwear collection... it's all perfect but I'm dying over the style of this one-piece! This blouse would have been idea for Galentine's / Valentine's... but it'd still be cute to wear into spring! Recipe of the week: Oatmeal Maple Cookies from Genius Kitchen. When in Vermont you just have to bake some maple treats from time to time! These cookies were great and came out really soft and chewy- my favorite! I'm not a fan of citrus so I omitted the orange zest from the recipe, but if you like orange I'm sure that would be tasty in them. Song of the week: Get to You by Michael Ray. I've been listening to a lot of country music this week and this song is just so good. Can't get enough! That's really all there is to it on this one. Thanks for reading and have a fantastic rest of the week! Confession time: my favorite color is blue, and if we're getting specific it's the gorgeous aqua hue that is Tiffany Blue. However- you'd probably never know that based on how much I enjoy incorporating pink in my wardrobe! Last summer, one of my favorite outfit posts that I shared I entitled #IHaveThisThingWithPink. Today's outfit reminds me of a winterized version of that look! I hope that you enjoyed your President's Day weekend! My company does observe the holiday, so since I had the day off yesterday I decided to take the day off from the blog as well. I also want to give a reminder that today is your last opportunity to take my blog's annual reader survey if you haven't yet! You can take it here. Southern Belle in Vermont: 10 Months Post-Move Update. 10 months in Vermont! Double digits. Almost a full year of life in the Green Mountain State! Wow wow wow. It seems like so long ago since my last post-move update, and I feel like I have a lot to update y'all on today. SUMMARY: You might remember that "homesickness for North Carolina" was the theme of my 8 Months Post-Move Update that I wrote in December. Those feelings definitely hit an all-time high around the holiday season this year. I still struggle frequently with missing my friends and life in Charlotte... but I will say that I think I have gotten better in the last two months at managing my homesickness, and also identifying and being able to avoid some specific triggers. It's definitely not a "solved problem" by any means and something that I'm still working through every single day, but in 2018 I'm really making an effort to not let it control me. How have I been doing this? I've made a lot of little changes, but I'll touch briefly on the two bigger things I've been doing. First, my fitness New Year's resolution has been not only great for my physical health, but even better for my mental health. The gym is a great place to work through my feelings of homesickness and anxiety, which is why I've been trying to increase the amount of times per week that I go! Secondly, I started seeing a counselor weekly around New Year's. I'm not going to go into too much depth about that in today's blog post (I'm sure there will be a time down the road on the blog where it'll be more appropriate to talk more about this), but I will say that I wish I had taken my mom's advice and started doing this last fall, and hadn't waited so long to begin. It's been great to have a safe space each week to talk about things. HOME: Things are still going well living in my apartment. My parents surprised me for Christmas and generously bought me a brand new TV (much bigger then the little one from my college dorm room that I'd been using as my living room TV before), and it's been really nice to be watching my shows every week on that. It was a sad day in January when I finally put my Christmas tree and decorations away.... but I had the chance to do a little bit of Valentine's decorating, and I'm REALLY excited that Easter is on the way soon, my favorite holiday! Now that I've really settled into living in my own place, I'm starting to realize how much I enjoy cleaning sometimes? 10-years ago Annaliese never would have believed that would ever happen... I was so messy growing up and for most of college! I also have finally been getting better about being a hostess and inviting friends over to my apartment, which has been a goal of mine in these post-move updates since like, forever! I hosted my very first party in late January for Galentine's, and have just overall been doing better with inviting people over a couple times a month for dinner or to hang out on weekends. WORK: Winter in Vermont is the "slow season" for radio! I should explain... not slow as in being on-air and doing radio shows, there's no season for that and there's always on-air shows to be done! However, things here do really slow down in the winter as far as our community events go. For a lot of this summer, I had at least one (if not 2-3) events per week outside of work, so I was super busy! I haven't had an event now since the fall, so my schedule has just been very normal, which has honestly been nice since Vermont winter weather is no walk in the park. Something on a personal note is I have been really proud about how my voice is improving with voicing commercials for our stations. I listened this week to some of the ads that I did when I started my job last spring versus the ones I've done recently, and I can definitely hear improvements! FAITH: Here's an exciting update! In January, I started attending a College and Career (20 Somethings) church group that meets at another local church. I've made some wonderful friends through this church, and it was so kind of them to invite me to their meetings, even though I attend a different church for Sunday services. The College and Career group has a lot more young people than attend my church, so it's been a great social outlet, and I've also felt very motivated and challenged in my faith after every meeting that I've gone to. I'm looking forward to continuing to attend this! I also still volunteer with the Hospitality ministry at my church once a month with my friend Anna (we've been doing this since October), and I really look forward to our Sundays that we are in charge of the Sunday service food and refreshments. On more of a personal note about faith, I feel like God has been challenging me a lot in my personal walk with Him. Prayer time has definitely been very vocal and interesting lately! My friend Rachel from Something Delightful and I were having a text conversation about faith a couple weeks ago, and she told me to remember the phrase "Be Still." Since then, I feel like I keep hearing or seeing "Be Still" everywhere, so that might be one of my faith mantras for 2018! SOCIAL: This is so weird... in the two coldest months since I moved to Vermont, I've been the most social. I finally feel like I have made some solid girlfriends up here which has been such a blessing to me! Most weekends now I do something with a friend, whether it's going to dinner, a church event, or something else in the community. My social life right now is still nothing like the life I lived for the last few years in Charlotte.... but these last two months in Vermont have brought some changes and new opportunities for me as far as socializing, and I sure am thankful for it. 🙂I'm also proud of myself for still doing a great job staying connected with my college, broadcasting school, and blogging friends who are all out-of-state! DATING: No dates or dating so far in 2018, and honestly I couldn't be more content with that! I've been single for a very long time, but this might be the first time ever in my life that I am single and content with this season of life... and that makes a big difference! I am 100% focused on my relationship with God and my career right now. ACTIVITIES: I finally took the time to write out my Vermont Bucket List (into a blog post! ), and hold myself accountable to completing the things that I want to do while I live in Vermont. The biggest item off the list that I checked off in the last two months was finally going downhill skiing! Skiing is one of the things that Vermont is famous for, and now that I've experienced it here I'll say that their ski resorts know how to make it a great experience. I hadn't been skiing in over 10 years, but I was happy I was able to pick it up easily again! I'm hoping to check cross-country skiing off my bucket list before winter ends. If "surviving coping with winter" is also an activity I can list here, I've definitely been doing my best at attempting an A+ job with that- haha! Went downhill skiing at Smuggler's Notch. Threw my first party in my Vermont apartment! Went to my first semi-formal event in Vermont. Survived the record-breaking cold-snap that hit Vermont during the holidays. Shopped the Macy's store closing sale in downtown Burlington. The next update post in April will mark ONE YEAR!!! It's gone by both so slowly and also so quickly- funny how life can be like that. Thanks to all of you who read these updates and have been so supportive to me since I moved! Unrelated- but my blog's annual reader survey went up in Tuesday's post! If you haven't taken the survey yet, it's only 10 questions and all of the answers will help me so much! You can take it here. No blog post this Monday as I'm off work for President's Day and will be enjoying my day off, (keep up with me on Instagram! )- but talk to you Tuesday! Midweek Ramblings + Recent Purchases + Current Wishlist (on a Thursday!). Fitness goals: I mentioned in my New Year's Resolutions blog post that I'm really focusing on fitness in 2018. I finally went to the gym 3x last week (up from 2x), and that was a great feeling! I'm also working hard on slowly running longer distances to make my goal of running a 5k this year. I know this doesn't sound like much but I have never been a runner so that's a big goal for me to work up to. When I started running on the treadmill around New Year's I could barely run a quarter of a mile before having to walk (so pathetic I know! ), now I'm almost running a mile and doing so pretty quickly! It's been fun and motivating for me to have this goal to work towards. If you also had fitness goals for this year, how are they coming? New TV show: There's a new show that I've been watching and enjoying! LA to Vegas on Fox premiered in January, and I am loving it so far. It's a comedy about a fictional budget airline (think like Allegiant Airlines) that operates a weekly flight from LAX to Las Vegas, and it follows the flight crew and a few of the "regulars" that fly to Vegas each week on the same flight. I love Las Vegas (it's one of my top US vacation destinations) and I love most things that have to do with Vegas, so I think this show is super cute!! I hope it gets picked up for a second season in the fall. I successfully completed the four week shopping fast I did between mid-January - mid-February! It was a great way to save money, and also get more use out of things I already had in my closet. I finished the end of the shopping fast with a trip to Macy's in Burlington, which is closing in a few weeks so the store closing sale is in full effect. Fun fact about me: I love shopping store closing sales. I was able to score a great deal on a new pair of my favorite flats! These are pricier at full price (around $100) but my last pair lasted me a few years, and since I got this new pair at a discount with the store closing sale I knew I couldn't resist! I also scored a pair of suede lace-up heeled sandals for spring/summer (whenever that arrives in Vermont... lol!). With all of the store closing discounts they were under $25! Mine aren't online, but these are really similar. I also was able to find a really cute crocheted black bikini for $40! Such a great deal for a versatile swimsuit. The one I purchased isn't online, but this one is similar. 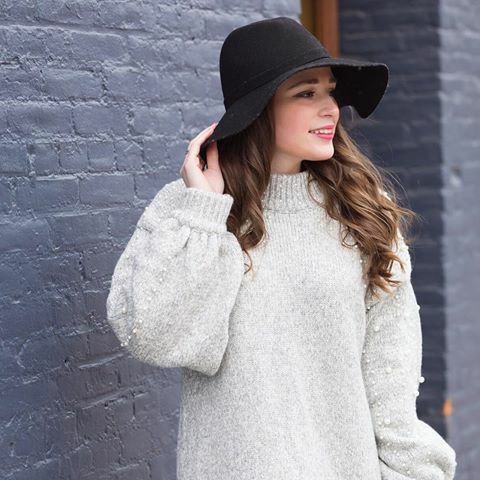 A cute long sleeved top for transitioning to spring. Such a classy dress that's perfect for the workplace. It would look great layered with tights and a blazer for the rest of the cooler months! This utensil kind of looks too pretty to use on any food... but it would be a dream to have something this gorgeous in my future kitchen! Disclaimer that this is way too expensive to be anything more than a wishlist item, but this chic spring purse is so beautiful! I'm always drawn to anything with a bold floral pattern. Recipe of the week: Spicy Mexican Shredded Pork Tostadas (or Soft Tacos). My best friend from high school, Jules, gave me the America's Test Kitchen official cookbook for Christmas this year, and lately I've been digging into it and trying recipes from it. Last week I made the Spicy Mexican Shredded Pork Tostadas recipe, except I made them into soft tacos with corn tortillas instead. I have linked the recipe online, however since it's from their cookbook you have to be a member of the website and sign up for a free trial to access it online. Song of the week: Good Life by The Young Escape. This week in the car I've been listening to a lot of Air1, a nationally syndicated Christian radio station. Honestly for the last few years I haven't been a big fain of most mainstream Christian music, but lately I've been craving listening to it for some reason (I'll dive more into that in tomorrow's blog post!). Anyways, I discovered a new Christian song that I really like from the band The Young Escape - check it out! Thanks so much as always for reading! I hope you're having a great week.